I tried this smoothie on one of my many trips to Panera and was pleasantly surprised. It is very refreshing – even my daughter loved it. I knew that I wanted to recreate it, so when at the drive thru window, I asked what was in it and went to work! 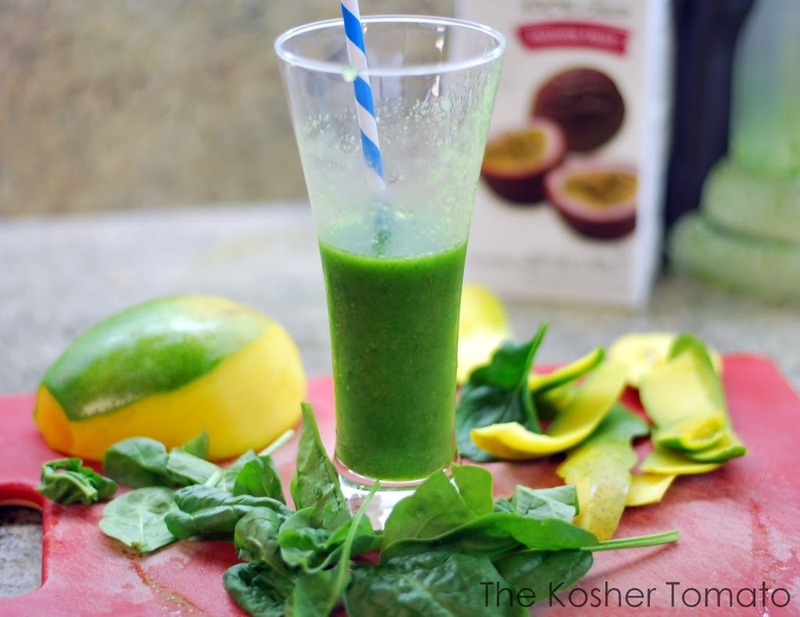 I think she might have left out a few ingredients when she told me about it – but the good news is that the passion fruit juice is pretty powerful and takes over most flavors in this drink. It tasted extremely close and came out delicious. 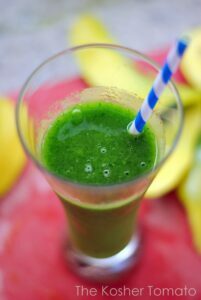 It is pretty fruit heavy, so the real nutrients are only really coming from the spinach – but feel free to experiment with other green veggies too, to add more “Power”. Don’t leave out the ice – which helps give this a real smoothie feel. 1 overflowing cup of spinach leaves (baby leaves preferred) – You can also use a mix of baby spinach and baby kale for more nutrients here. Mix all in blender or food processor for a good 5 minutes, until all is combined and smooth. Subscribe Below For Free Recipes, Tips and Tricks! Subscribe for Recipes, Tips, & Tricks!